" More than just repair "
We are the specialist of spectacles, eyeglasses and sunglasses frames repair and custom fit service based in Victoria Australia. ​The team is headed by a Licensed Master Optician. Plastic Syndrome's team of eye wear repair and custom fit solution service specialists are ready to assist you. So we are here to help you - quickly and efficiently. 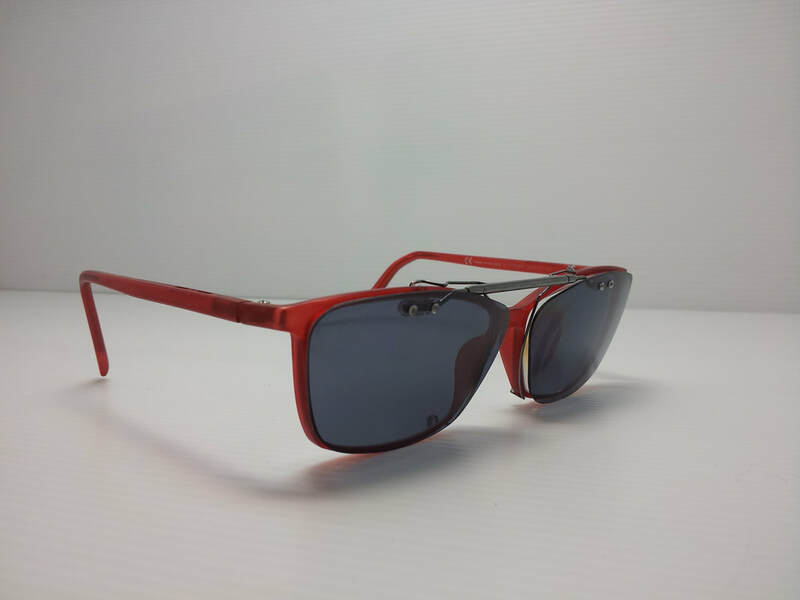 We provide eye wear repair and custom fit service to Sydney NSW, Melbourne VIC, Brisbane QLD, Adelaide SA, Perth WA, Darwin NT, Tasmania TAS and all over Australia. ​Also, available to not only just Australian, but international ones as well. At Plastic Syndrome, we are using state of the art laser welding machine for our eye wear repair service. It is quick, it is efficient, and it is durable. Instead of using another metal to join the two broken pieces, a highly intense beam of laser melts and fuses the broken parts. This beam is used in pulses that last only a few milliseconds, but expertly repair the damage. All types of Temple & spring hinges, bridges, nose pads, arms, eye rims, brown screws, rimless frames in metal materials. ​As spectacles, sunglasses can be repaired in the same way as they are generally made from the same materials. All types to hinge replacement,temple replacements, spring hinge repairs, bridge and rim repairs. 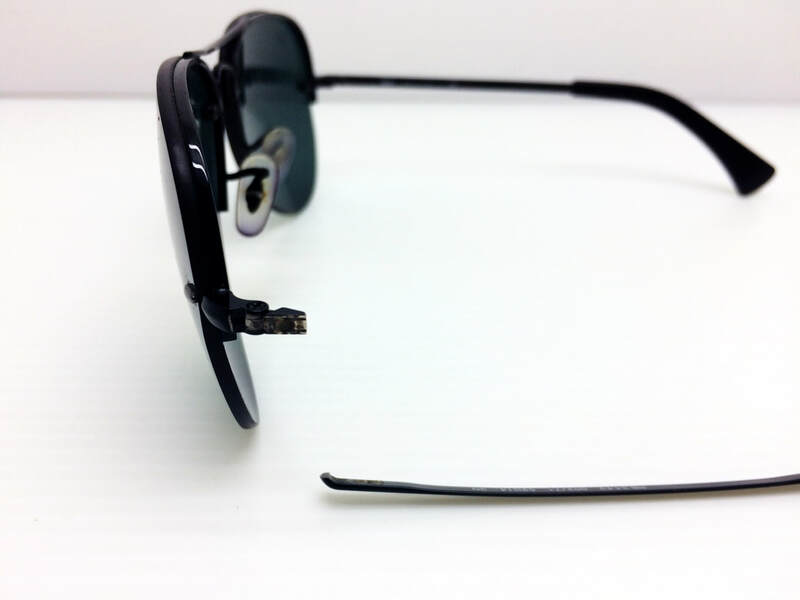 As spectacles, sunglasses can be repaired in the same way as they are generally made from the same materials. We have developed a technique to repair just about any spring hinge mechanism available. This saves time & expenses, trying to match designer temples that are often discontinued. If the glasses that you own are made from a unique material such as like wood and buffalo horns, ​any other unique material, our experts can fix them for you. A set of various of way which are nose pad arms fitted to a plastic frames. The people who need to set up their frame for sitting on their nose properly. 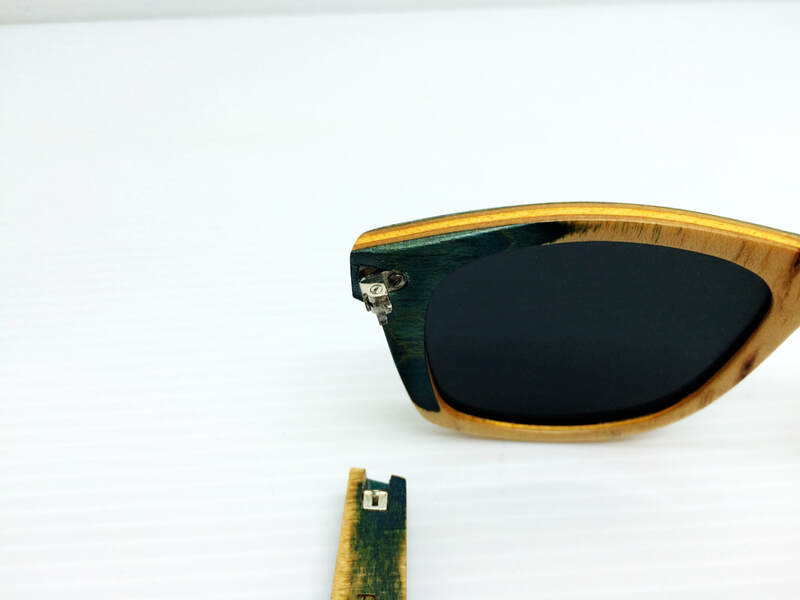 We are specialized in custom handmade 2-step / 3-step of polarized sun clip for metal and plastic frame. Having a spare pair is always a smart idea as you might lose or break them accidentally. Find your favorite broken pairs of glasses in the drawers ​and get them fixed for your future use. On the day that you leave for your holiday, Don't forget a spare pair of eye wear as a back up! We prefer to use email or text messages for inquiries to ensure that all our customers receive a quick response directly from an expert specs repair technician team. Plastic Syndrome’s team of repair experts can repair even the most "unmendable" frames. We are experts in ﻿metal﻿ (incl. titanium) and plastic optical & sunglasses frame repairs. These types of frames are the most popular on the market today. We also do gold and silver soldering on a variety of metal. 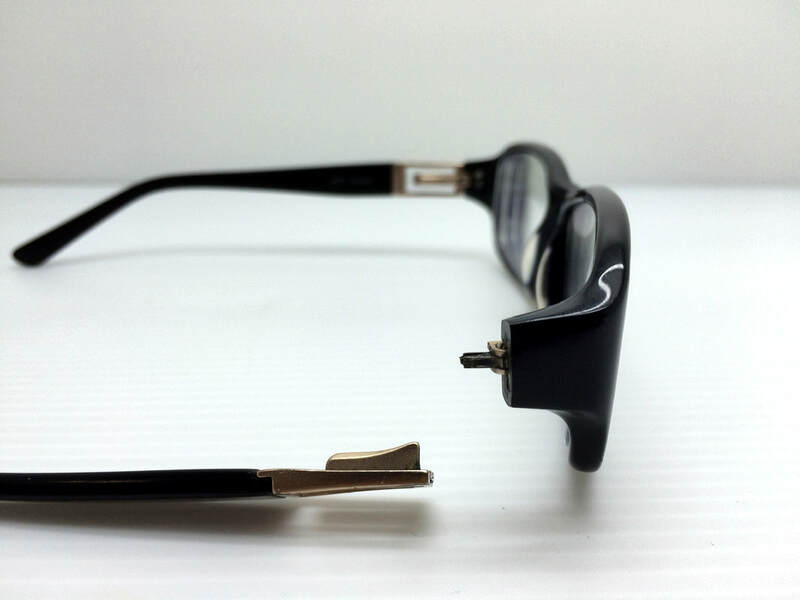 Our inventory includes replaceable parts for both current and discontinued designer parts to serve our customer’s eyeglass frame repair needs to the best of our ability. Building on our commitment to customer service, all repairs must pass the Plastic Syndrome’s Quality Control Test to ensure our work meets our customer’s requirements.We are proud of the quality of work we produce and put each repair through a series of tests before we give it our seal of approval. why we consider ourselves the number one frame repair experts. 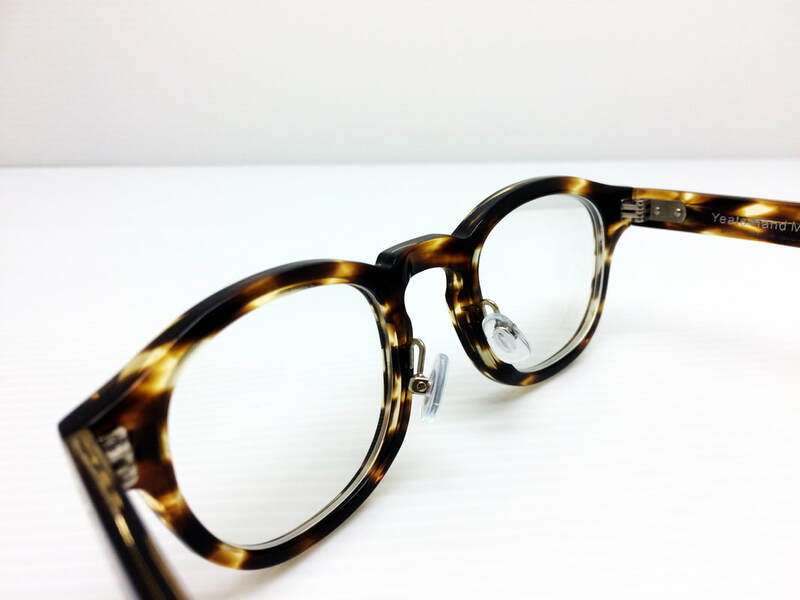 ​and all frames of any metal or plastic and we can repair any part of your SPECTACLES,EYEGLASSESES & SUNGLASSES FRAMES. ​Most of repairs are done within 4-5 working days after receiving. ​We can perform the most difficult repairs with extreme levels of precision, that are permanent & almost invisible.